The Pojo Forms plugin allows building unlimited forms with the Drag & Drop interface, with which you can easily build well-designed forms for your site. Simple and creative. Countless layouts and unique display options, with full control over all fields and buttons designing. 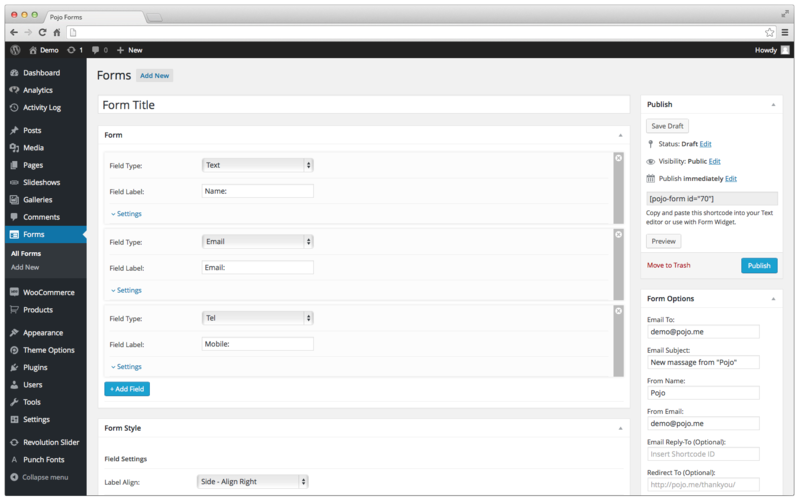 The Pojo Forms plugin allows building unlimited forms with the Drag & Drop interface. 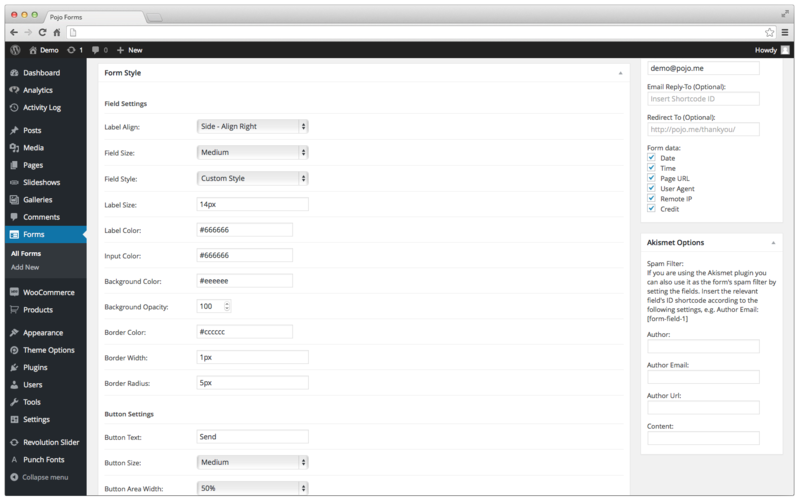 Forms of countless layouts and unique display options, with full control over all fields and buttons designing can now be created simply. Integrate reCAPTCHA in the Pojo forms plugin, in order to protect your form from spam and abuse. reCAPTCHA is Google’s free and popular spam protection service and is recommended to improve your site’s security. To save all the feedbacks that are sent through the forms, you can install the Contact Form DB plugin and it will save all the feedbacks on the server’s database, from which you can export the data as organized Excel or CSV files. This enables you to import the data to other systems, such as MailChimp. In order to deal with the amount of spam there is today, we’ve added an integration option of an Akismet spam filter which is installed in almost every WordPress site by entering the relevant fields. To enable you to track the feedbacks that are sent in your forms, we’ve added the Activity Log plugin that will notify you whether the form was received and sent forward.